I had a desire to draw up a skin concept for League of Legends today. Not having any particular place to start I thought about the skin sets and decided on something for the Pool Party suite – esp as it is insanely hot here at the moment. Next step was to pick a champion and since Tahm Kench is one of my favourites I jotted down a few ideas for him. Relatively quickly the idea of him having ice creams and licking them with his huge tongue felt good, then I had the idea of him being sunburnt a real ‘lobster’ and that felt like a nice theme that matched him pretty well. 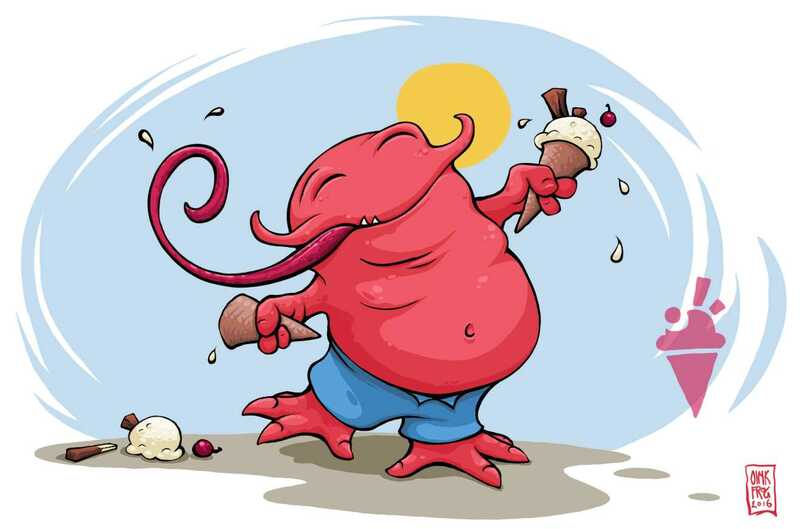 Getting sunburnt and licking ice cream should fit many people’s memories of being at the pool (or beach) and I liked how this phase of design thinking had gone, just had to realise it in an image.